Organized by professor and faculty curator Ann M. Nicgorski, the exhibition features 26 ceramic vessels and figurines that date from the Early Bronze Age to Early Iron Age (ca. 2500 to 475 BCE) and have many tales to tell. 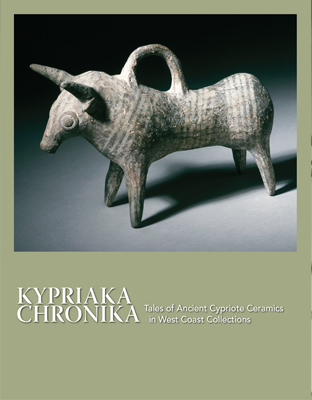 As carefully crafted artifacts of daily life in Cyprus, an ancient crossroads of civilizations, they tell of local traditions and aesthetics in dialogue with cultural imports from the East and West. Equally fascinating, however, are the stories of their travels to museums in Washington, Oregon, and California, which were facilitated by many colorful characters including Luigi Palma di Cesnola, the first director of the Metropolitan Museum of Art; Jane and Leland Stanford, founders of Stanford University; railroad tycoon Samuel Hill; San Francisco philanthropists Phoebe Apperson Hearst and Alma de Bretteville Spreckels; Queen Marie of Romania and her eldest daughter, Elisabeth, Queen Consort of the Hellenes; and Harvey Seeley Mudd. 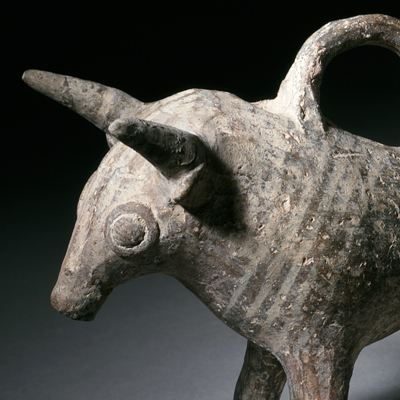 The pieces in this exhibition are drawn from museums in Washington, Oregon, and California, which are remarkably rich in artifacts from ancient Cyprus. In addition to the Hallie Ford Museum of Art, these institutions include the Maryhill Museum of Art in Goldendale, Washington; the Burke Museum of Natural History and Culture at the University of Washington in Seattle; the Phoebe A. Hearst Museum of Anthropology at the University of California, Berkeley; the Legion of Honor, Fine Arts Museum of San Francisco; the Cantor Arts Center at Stanford University in Palo Alto; the Los Angeles County Museum of Art; and the J. Paul Getty Museum in Malibu. Saturday, February 9, 2019, 6 - 8 p.m.
Tuesday, February 12, 2019 at 7:30 p.m. The exhibition will be accompanied by a full-color brochure that will be available in the museum store for $1. This exhibition has been supported by an endowment gift from the Hallie Ford Exhibition Fund of the Hallie Ford Museum of Art; by an endowment gift from the Verda Karen McCracken Young Fund of the Department of Art History; and by general operating support grants from the City of Salem's Transient Occupancy Tax funds and the Oregon Arts Commission.